Three weeks into the new year and 2018 is on! 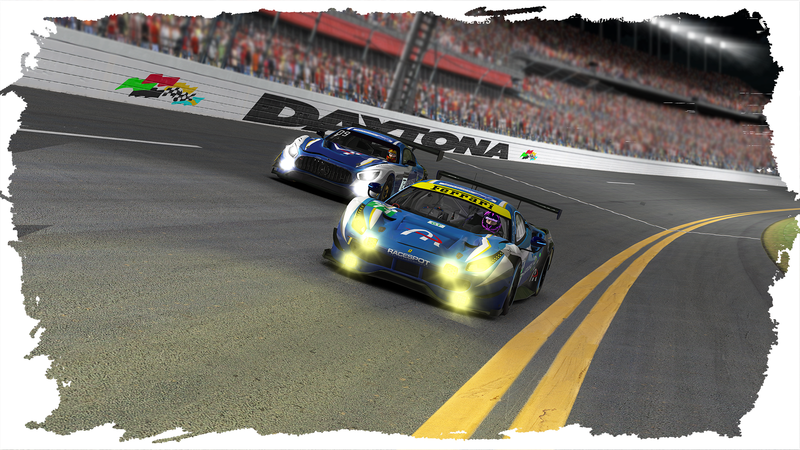 iRacing’s traditional first Special Event of the year visited Florida and its lovely Daytona International Speedway. With a lot of time spent on the throttle, this track is known for its close draft battles on the oval section and side by side braking in to turn 1. Entering two teams, the Pure Racing Team tried to fight for the victory in the GTE and GT3 class. In qualifying, the #71 GTE machine managed to claim the pole position with Maximilian Wenig burning a 1:39.739 into the asphalt. Denis Grabovsky put the sister GT3 car in P4 which made for a good starting position on the second row of the starting grid. Since Daytona gives the drivers plenty of opportunity to stay within range of the car in front, it usually is a big deal for the leader to break away from the pack. 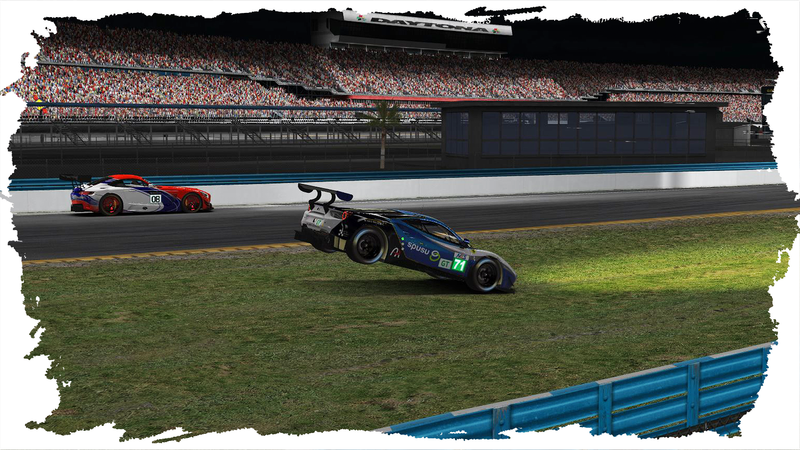 Luck turned in Max’s favour due to a crash within the Daytona Prototype class in the International Horseshoe corner, Max perfectly avoided the incident and immediately increased the gap to the car behind enough to keep the #88 VRS Coanda car out of the draft. With his class-dominating pace, he successfully managed to pull away from the pack and put himself and his teammates in a solid lead. In GT3 class, Denis managed to get his car into third position before the first pitstop and after pitting found himself in P1 since the team decided to not take tires, which in past years has known to be a good working strategy. A couple of laps after the stop, the Mercedes was overtaken by a DP into turn 3, the kink with Denis being on the outside line. The uncommon line and traffic situation in combination with the worn-down tires made him lose the car and spin into the barrier. The following repair time cost the #72 GT3 car 8 laps in total with some further damage costing them couple of km/h of top speed. The first three stints went flawlessly for Max Wenig and his GTE Ferrari. The lead was extended to roughly 40 seconds over the #34 Vortex Simracing car. The fourth stint started bringing trouble to the team. A slow DP car made a risky move on the inside into turn 1 which made their driver lose the car. Max had to avoid the spinning car by going into the grass and hitting a small jump in the gravel, which damaged the car’s underbody and diffusor costing a bit of top speed as well. To make the stint even better, after 22 laps Max lost his connection to the server due to iRacing’s server problems. This setback cost the team nearly two laps with Jonas Wallmeier taking over the wheel. The same thing happened to our GT3 team after Sebastian Schmalenbach, Niclas Laubisch, Patrick Wolf and Damien McPhee made it through the night. Denis lost his connection and the team lost another 2 laps which destroyed every hope of a decent result. Besides a couple of small incidents, the GTE team successfully made it through the night. Jonas Wallmeier, Marc Elkemann and Max Wenig were gaining a lot of the lost time back from the previous incident. Maximilian Benecke brought the gap back down to ten seconds to the leading Vortex car before he handed it over to Max Wenig to bring the car to the finish line. A couple of laps before the last pitstop, Wenig was right on the bumper of the #34 Vortex car, piloted by Joel Guez at the time. By saving some fuel behind his opponent, Max knew he had an advantage in the upcoming pitstop which was not even needed as he overtook the Frenchman on the outside of turn 1, one lap before they visited the pits for the last time. With the fuel advantage, Max headed out of the pits with a 3 seconds lead over Joel, which was enough to secure enough of a gap to keep the #34 car out of reach. 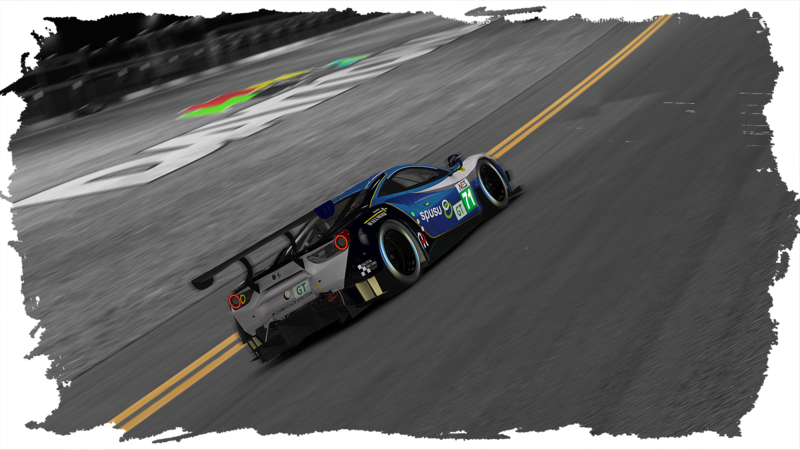 After 24 hours, our GTE car crossed the line in first position, starting the season off perfectly. The GT3 team came home in P9, but even though they had a lot of issues and setbacks, they kept going until the end. The whole team is proud of its drivers and they can also be proud of themselves. “I can’t believe that we did it after the massive leeway we had due to my disconnect. 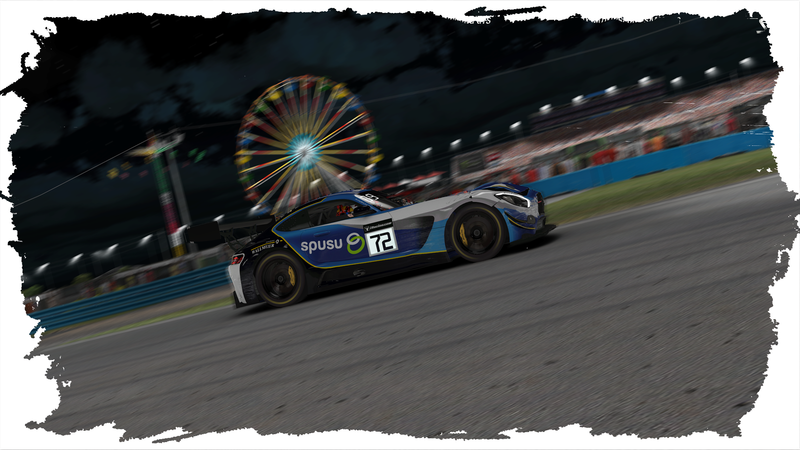 This actually is my first win in an iRacing Special Event and I cannot imagine it to be somewhere better than in the GTE class of the Daytona 24!”, says Maximilian Wenig. Furthermore, we want to congratulate Vendaval Simracing and Radicals Online for their class victories and of course, all the podium finishers of all splits. Thanks to Racespot and v8sonline for the broadcasting and shoutout to our sponsors!